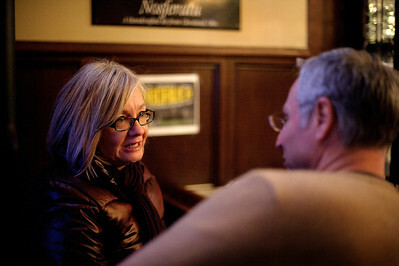 Daniel J. Murphy - dmurphy@shawmedia.com Nan and Rick Kueler of Crystal Lake relax with beer at Dukes Ale House Saturday February 25, 2012 in Crystal Lake. Daniel J. Murphy - dmurphy@shawmedia.com Dukes Ale House bartender James Venters of Lake Barrington, IL pours a beer for a customer February 25, 2012 in Crystal Lake. Dukes Ale House features a large selection of craft beer and a menu full of fresh organic meal options. 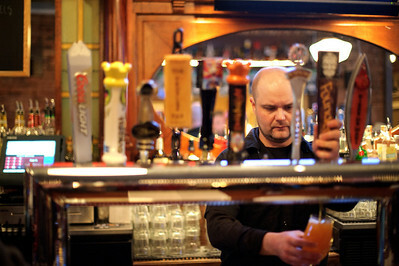 Dukes Ale House bartender James Venters of Lake Barrington, IL pours a beer for a customer February 25, 2012 in Crystal Lake. Dukes Ale House features a large selection of craft beer and a menu full of fresh organic meal options.